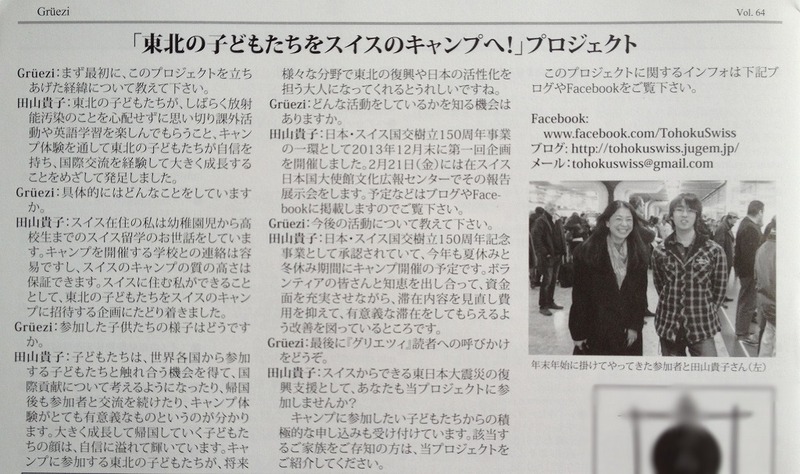 メディアで紹介されました！We were on Media! 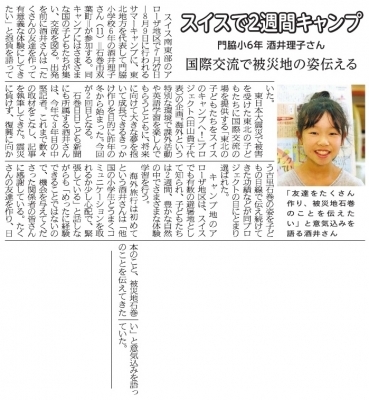 | 東北の子どもたちをスイスのキャンプへ！ Bring Tohoku Kids to Swiss Camps! 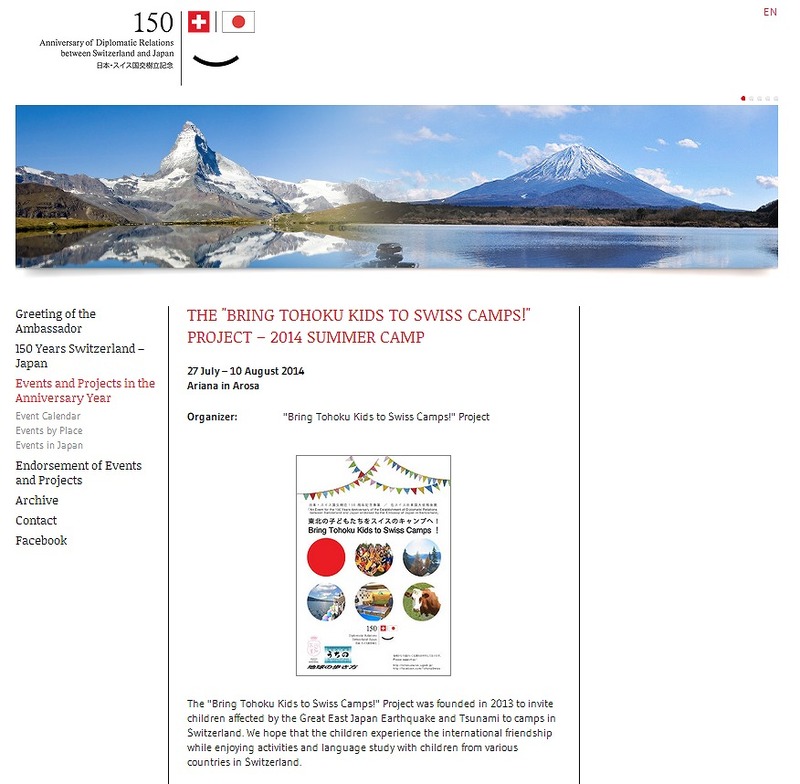 東北の子どもたちをスイスのキャンプへ！ Bring Tohoku Kids to Swiss Camps! 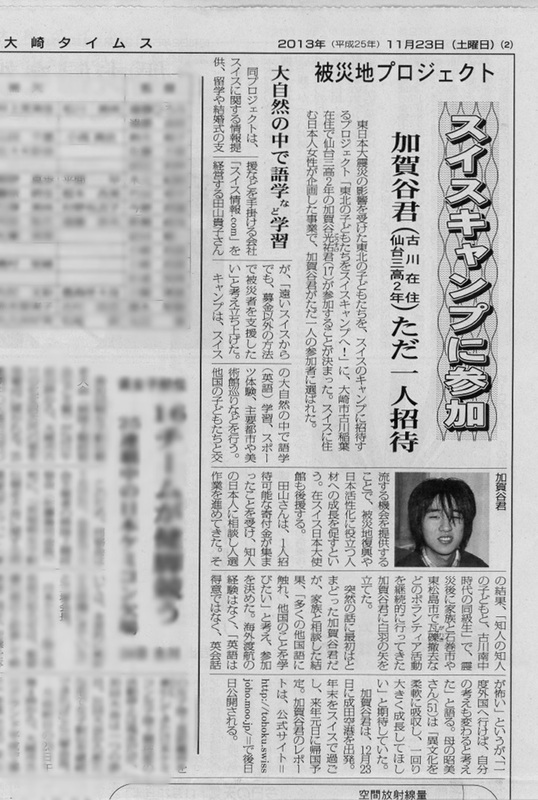 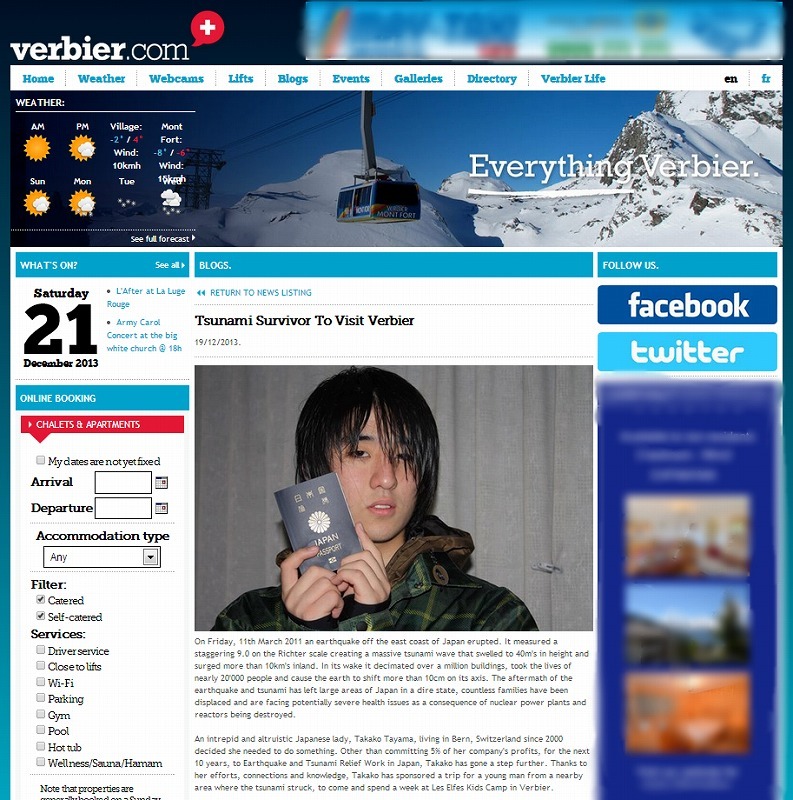 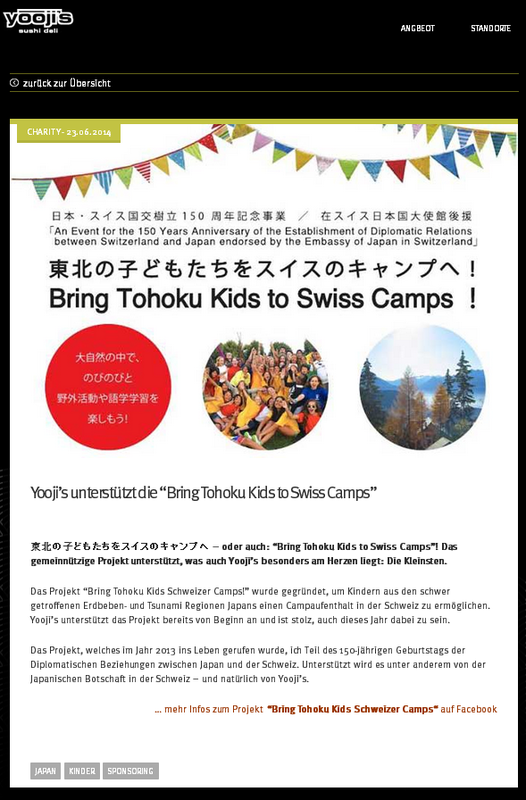 東日本大震災で影響を受けた子どもたちをスイスのキャンプに招待しよう！Let's Invite Kids Affected by the Earthquakes to Swiss Camps! 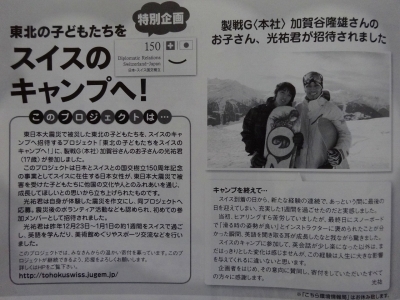 If you are interested in our project and would like to publish about it, please contact us: tohokuswiss@gmail.com . 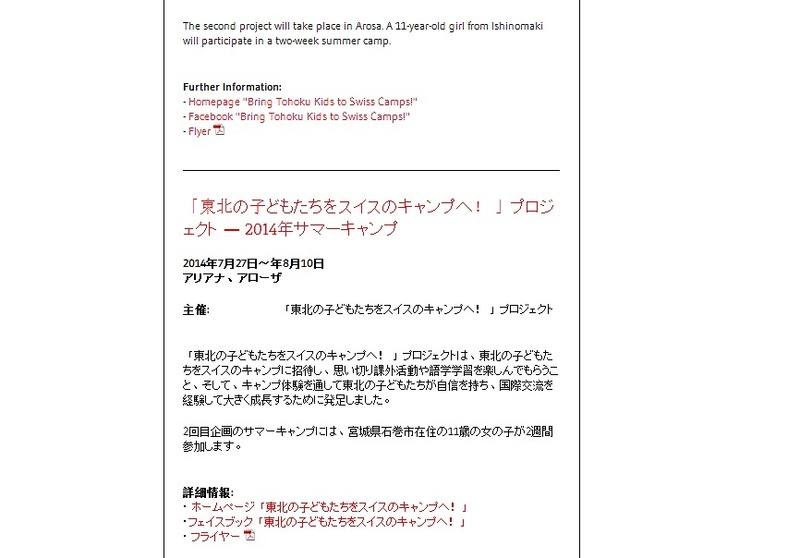 Please help us make this project known so that we can invite more children from North-Eastern Japan. 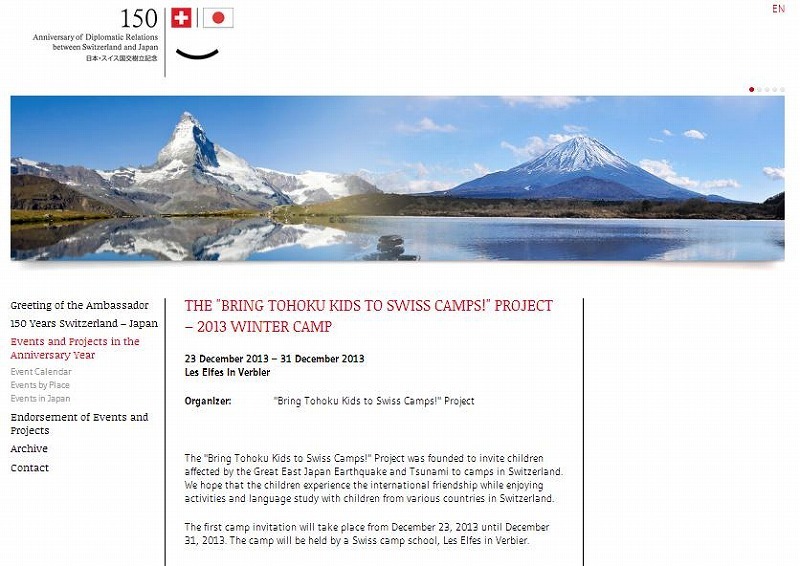 Embassy of Japan in Switzerland: The website "150 years of diplomatic relations between Japan and Switzerland"
Copyright (C) 2013 The "Bring Tohoku Kids to Swiss Camps!" 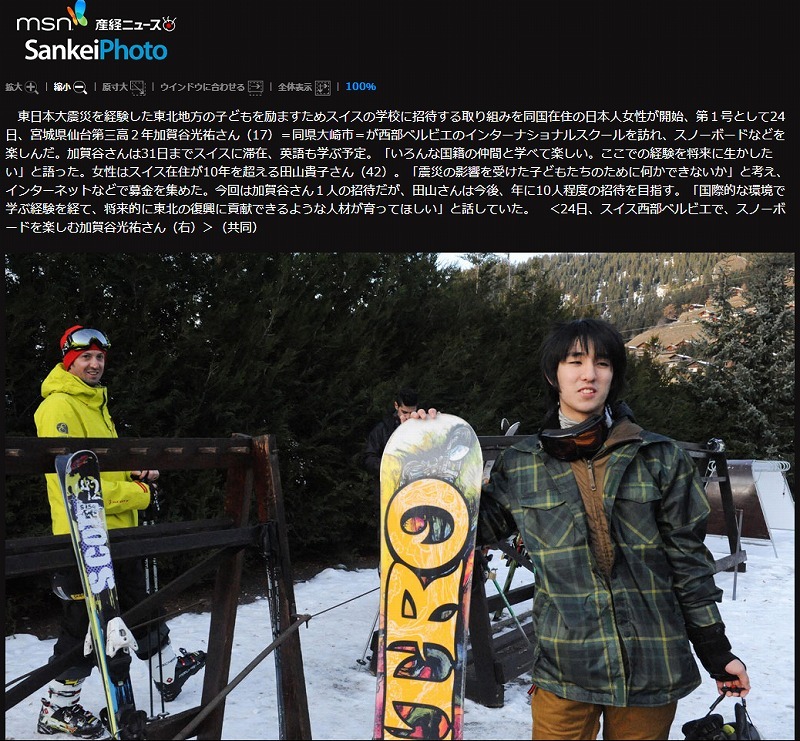 Project All Rights Reserved.